Attracting great talent is getting more and more competitive. Employers are scrambling to differentiate themselves from everyone else courting the perfect candidate. Oh no! XYZ Corp now offers free facials and two flavors of La Croix! Well, we’ll offer full massages and every Dasani sparkling water flavor! Meanwhile, you’re desperately pulling up Amazon to order twelve cases of Dasani. Thank goodness for that Prime membership. It’s your job as a recruiter to find and attract the very best candidates. In many fields today, it’s a candidate’s market. They have their pick of the litter. Why do the best full-stack developers keep flocking to Apple, Google, and Amazon, where they’ll get lost in the shuffle? Why don’t they understand how much more valued they’d be at your organization? Hint: It’s more about the messages than the massages. A hungry bear plants itself in one spot on the riverbed. If it’s in the right place, lunch will deliver itself. That’s the beauty of effective positioning. If you place yourself properly, great candidates drop in your lap like wriggling salmon. If you don’t, you end up cold and wet, with nothing to show for it. Unless you stick to a bold, strategically crafted position that effectively differentiates you from the competition, the hiring wheel grinds to a halt. Let’s turn the lens on you. What do you want your company to be known for? What are you the very best at doing for your staff? 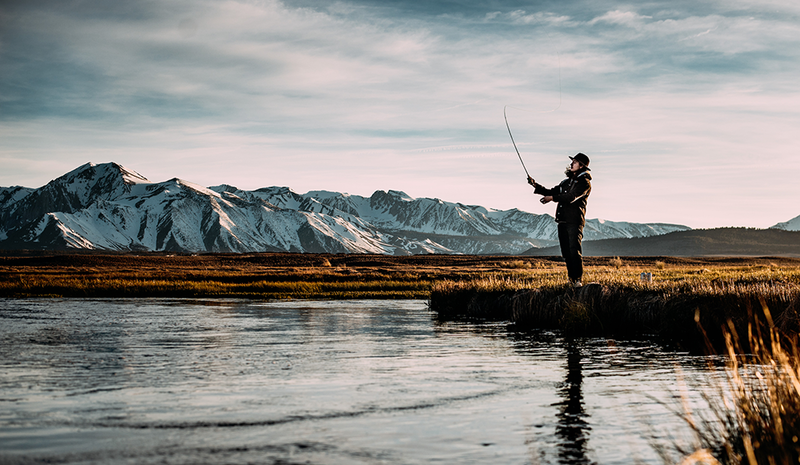 Where should you plant yourself on the river? As an employer, your fundamental problem is you’re not the only option in town. If you were, recruiting would be easy. By the 1970s, companies were bombarding Americans with a nearly continuous stream of advertising — on television, in print, and plastered on pretty much every available surface. Consumers were told again and again about the deep cleaning power of Tide, the alluring mystique of Chanel No. 5, the thirst-quenching refreshment in a can of Coca-Cola. Marketing strategists Al Ries and Jack Trout started to suspect that features and promises alone couldn’t explain why a select few ads effectively swayed consumers while others didn’t, despite endless repetition. There was simply too much advertising going on for any normal person to consciously process all that product information. Ries and Trout decided to investigate how people made sense of this unceasing flow of pitches and taglines. Their research revealed that the less a product promised to do, the more likely consumers were to believe in it. “Positioning,” they wrote, “is how you differentiate yourself in the mind of the prospect.” It isn’t enough to talk about all the ways your product is better. The more you talk, the less customers hear. The art of positioning is saying only the things that will clearly differentiate, leaving the rest out. Focus wins the battle. What makes for great positioning? Forget for a moment what’s in it and ask instead: How long should it be? After all, if a positioning statement is so powerful, wouldn’t a positioning paragraph be better? If I can think of a dozen great reasons to work with my company, why not share them all? A great positioning statement uses three short, unique concepts to triangulate your position. Why three? Two reasons: believability and memorability. Researcher Suzanne B. Shu and her team at UCLA found that three attributes are the most believable when it comes to advertising claims. They tested one, two, three, and more attributes, all the way to ten. Three attributes were the most believable. To quote the research paper: “three charms but four alarms.” Things in threes are also the most memorable. Researcher Jeffrey N. Rouder at the University of Missouri found that around three concepts is the number of things most people can easily remember. Focus on the three core strengths of working for your company and leave out minor benefits. The key objective of positioning is to be simultaneously believable and memorable. Now, let’s add some flexibility. You don’t need to stress about having the same messaging for everything. You can choose one message for your organization, then tweak it for individual roles. The reasons a full-stack developer would join your organization can differ from what will attract the best HR professional. Customize your position for each. It’s easy to fall back on what your company does well. Maybe it’s the flexible work schedule or the generous 401(k) match. But it’s equally important to consider what your competitors do well. It won’t do you any good to pitch the same things as the shop down the block. Figure out your uniqueness. After that, consider how bold you need to be to win candidates over. If you’re not the leader in recruiting a specific type of talent, you may need to get bold in terms of what you’re offering. Expand your thinking beyond where your company excels and consider the competition. Brainstorm as many key differentiators as possible, then pick the best three for that role. Make sure your positioning is unique. This process forces you to consciously think through why you’re the best option for the candidate. It isn’t easy to do, but this exercise will bring much-needed clarity to your recruiting value proposition. The impact on your persuasiveness will be powerful. In the eyes of your ideal candidates, you will become the obvious choice, the only option. Know who you’re for. Get your positioning right for them and only them. You don’t want some other bear eating your salmon — or your purple squirrel. Adapted excerpt from The Snowball System: How to Win More Business and Turn Clients into Raving Fans by Mo Bunnell. Copyright © 2018. Available from PublicAffairs, an imprint of Perseus Books, LLC, a subsidiary of Hachette Book Group, Inc.
Mo Bunnell is the founder and CEO of Bunnell Idea Group. Mo Bunnell is the founder and CEO of Bunnell Idea Group, who has taught sales skills to more than 12,000 people. 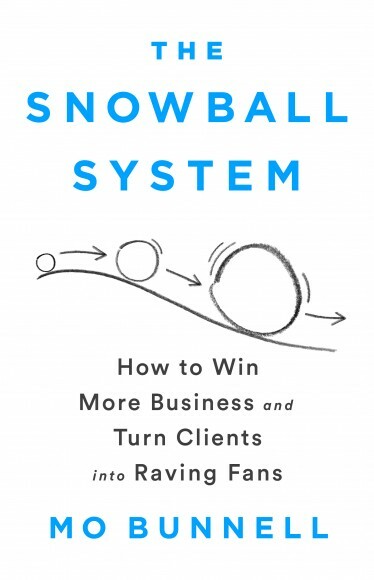 You can learn Mo's other techniques for growing influence in his new book, "The Snowball System: How to Win More Business and Turn Clients into Raving Fans," at snowballsystem.com. Get a gratis, eight-part video training on creating demand at createdemandcourse.com.